Bridges touch all our lives - every day we are likely to cross a bridge, or go under one. How many of us stop to consider how the bridge stands up and what sort of people designed and built something so strong? Bridge building is a magnificent example of the practical and every day use of science. However, the story of bridges goes beyond science and technology, and involves issues relating to artistic and cultural development. After all, bridges are built by people, for people. Bridges can be icons for whole cities; just consider New York's Brooklyn Bridge, London's Tower Bridge, and Sydney's Harbour Bridge. Such bridges can be considered functional public art, as they have the power to delight or be an eyesore. David Blockley explains how to read a bridge, in all its different forms, design, and construction, and the way the forces flow through arches and beams. He combines the engineering of how bridges stand up with the cultural, aesthetic, and historical importance they hold. 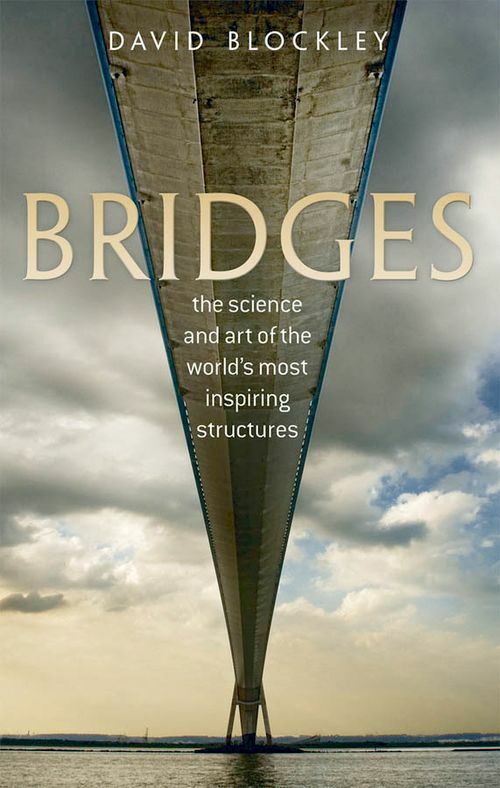 Drawing on examples of particular bridges from around the world, he also looks in detail at the risk engineers take when building bridges, and examines why things sometimes go wrong. Professor Blockley is an engineer and an academic scientist. He has been Head of the Department of Civil Engineering and Dean of the Faculty of Engineering at the University of Bristol. He is a Fellow of the Royal Academy of Engineering, the Institution of Civil Engineers, the Institution of Structural Engineers, and the Royal Society of Arts. He has written four other books including The Penguin Dictionary of Civil Engineering (2005).